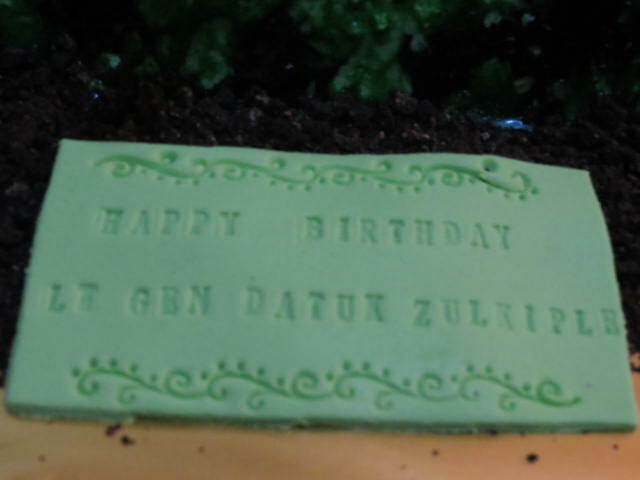 This cake was made for the new army field commander, Lt Gen Datuk Zulkiple Kassim , for his birthday. 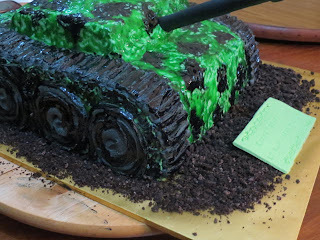 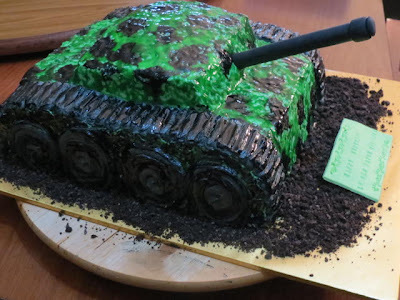 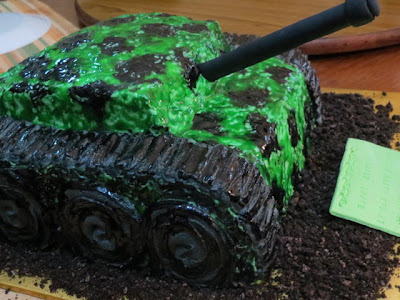 I was asked to do an army theme cake..so I thought it would be cute to make an army tank cake but of course..a very simplified one. The cake is a 3.5 kg chocolate cake with salted caramel filling and frosted with butter cream.